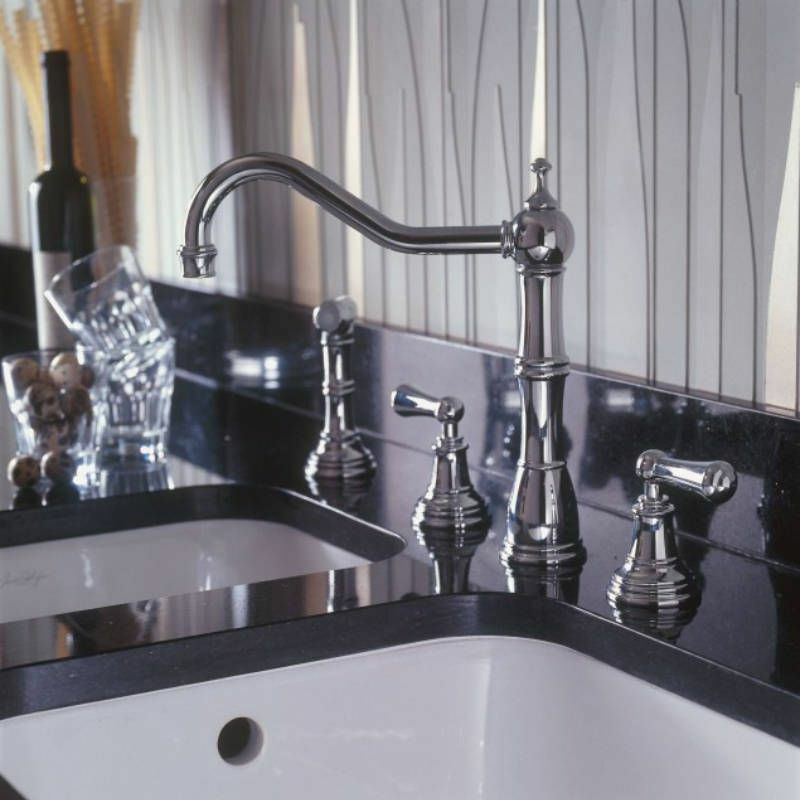 The 4776 Perrin & Rowe Alsace Four Hole Sink Mixer Tap Lever Handles and Rinse is usually available from stock and delivered in 3 - 7 days when specified in Chrome, Nickel and Pewter. This tap is also available to purchase in a range of other finishes including brass, bronze and gold finishes. This product features a Perrin & Rowe Hand Rinse. Easy to use and versatile, the rinse can be positioned to the left or the right of the sink. They have insulated handles and a flexible hose (standard length 120cm) ensuring safety and convenience. Hot, cold or mixed water is diverted to the rinse once the top button is pressed. * Chrome, Nickel and Pewter finishes are normally available from stock, however if your requirement is urgent please call us on 01603 558277 to confirm stock levels.